Communication between different cell types is a prerequisite for the proper functioning of a multi-cellular organism and for the ability to respond efficiently to invading pathogens, including viruses. Cytokines are one means by which cells communicate with each other even over long distances. Depending on the availability of a respective receptor and on the downstream signaling pathways triggered, the target cell can respond to cytokine exposure via directed migration, adhesion, proliferation, death and/or altering gene expression. Disturbance of these complex mechanisms are thought to underlie a multitude of diseases. In the past decades, many different cellular defense mechanisms mediated by cytokines that normally enable adequate elimination of viruses have been discovered. However, some viruses have developed strategies to escape this immune surveillance and/or to exploit specific host defense mechanisms in order to promote their replication, dissemination and survival. This enables these viruses to persist in the host organism and some, e.g. cytomegalovirus and Epstein-Barr virus, remain normally clinically unremarkable, which is one reason why the motivation to develop drugs or even vaccines against these viruses is low. However it is becoming increasingly evident that subclinical virus infection affects specific immune functions, including altered cytokine expression, which can lead to long-term organ dysfunction and tissue damage. Interestingly, such immunopathology resembles that observed in HIV-1 infected individuals receiving highly active anti-retroviral therapy. In contrast, other viruses, e.g. influenza virus and respiratory syncytia virus, can trigger a strong immediate induction of inflammatory cytokine expression, which is disastrous for several organs. In addition, there are viruses, such as the hepatitis B and C viruses, which cause deregulated cytokine production in infected cells and infiltrating leukocytes, subsequently leading to organ damage during an acute or persistent infection. Moreover, an infection with a virus may lead to subsequent organ damage even long after efficient elimination of the virus in question. (iii) Virus triggered immune responses, including those which persist even after a virus is no longer present. 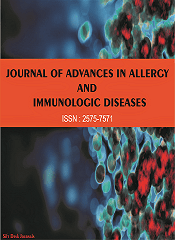 In particular, we welcome the submission of Original Research articles and of timely Reviews and Mini-Reviews dealing with chronic and subclinical virus infection in humans and in animal models. In vitro studies allowing the establishment of a convincing hypotheses regarding virus-modulated cytokine expression or function leading to organ dysfunction and tissue damage are also welcomed.